The Gumbies Islander toe post flat sandal is a perfect comfort flip flop for the summer! If you prefer the softer feel of a canvas toe post and strap, then these are the flip flops for you. Made from a soft and comfortable canvas material, the Gumbies Islander won't irritate your foot. Includes a dual layered EVA mid sole as an added feature for comfort. The outsole is made using recycled rubber that is fused with jute to create its unique shape and durability. 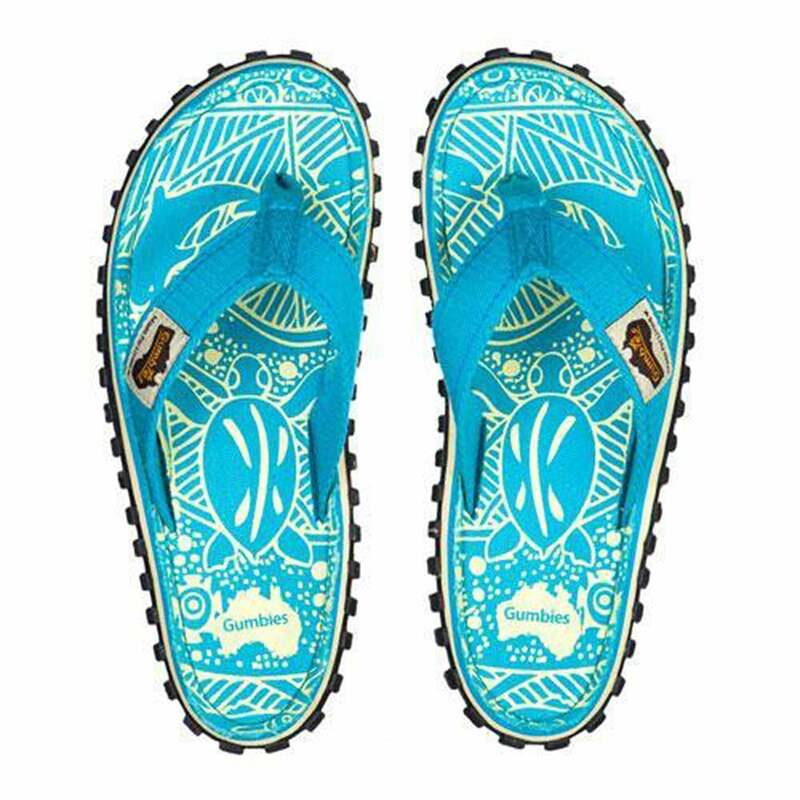 Distinguishing these stylish flip flops from the rest is the striking turquoise canvas complete with a white pattern on the footbed and detailed stitching. Add a touch of luxury to every step with the Islander from Gumbies. Just perfect to pop in your holiday bag!